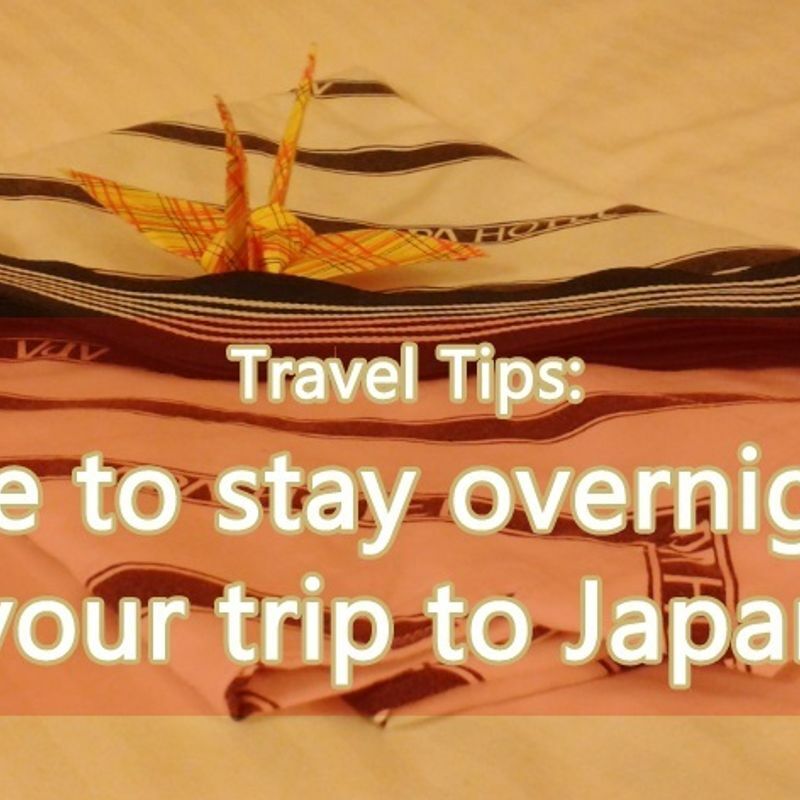 When planning your trip to Japan one of the main topics is your accommodation. And surely where are many places you can spend your night. Here is a quick overview for you. Hotels are the most usual places to stay on your trip. There are many hotels all over the big cities and for sure, there price range can be very different. You can find a few cheap ones, but often the prices start from 10,000 yen for a night with an open end. For this you get a nice looking, often luxury hotel interior including a breakfast buffet and more. A cheaper version of this are business hotels. Other than the name says these hotels are not only for business people, also tourist stay at these places. Popular chain hotels are Toyoko Inn, APA Hotel, Super Hotel and Dormy Inn. Here the prices normally lay between 5,000 yen to 10,000 and often include a simple breakfast. The rooms are rather small, but if you are only there for sleeping that it is fine. A good place to stay on a budget are hostels and guesthouses. 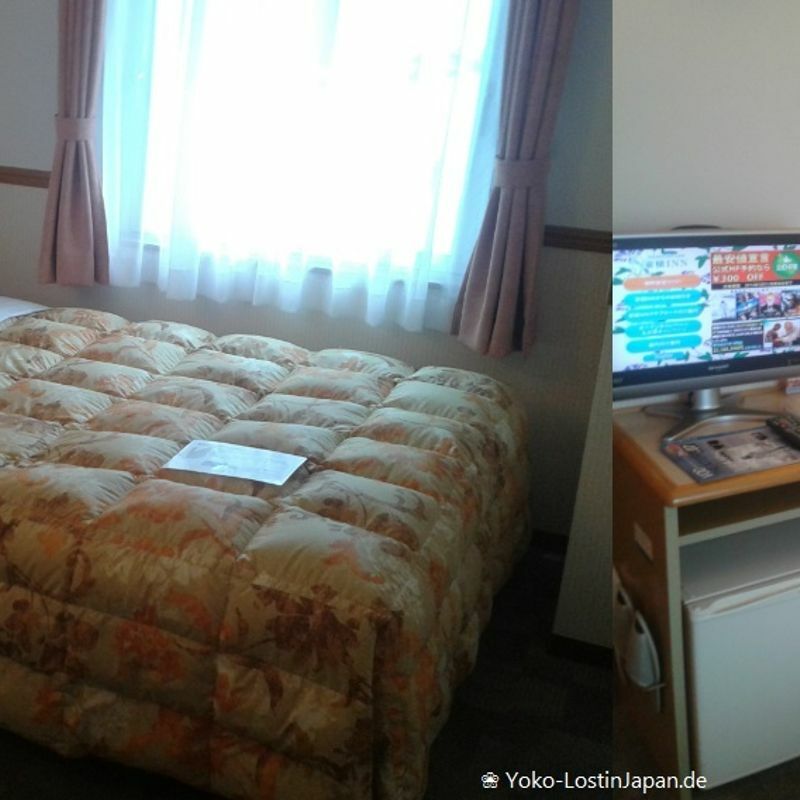 The prices can start form a cheap 1,500 yen per night up to around 6,000 yen. However, be ready to stay at a dorm room with other people – a good way to get to know people and other travelers indeed. Most hostels and guesthouses have shared bathrooms, kitchen and common areas which you share with all other guests. Some hostels have private rooms, too, but these are a bit more expensive. 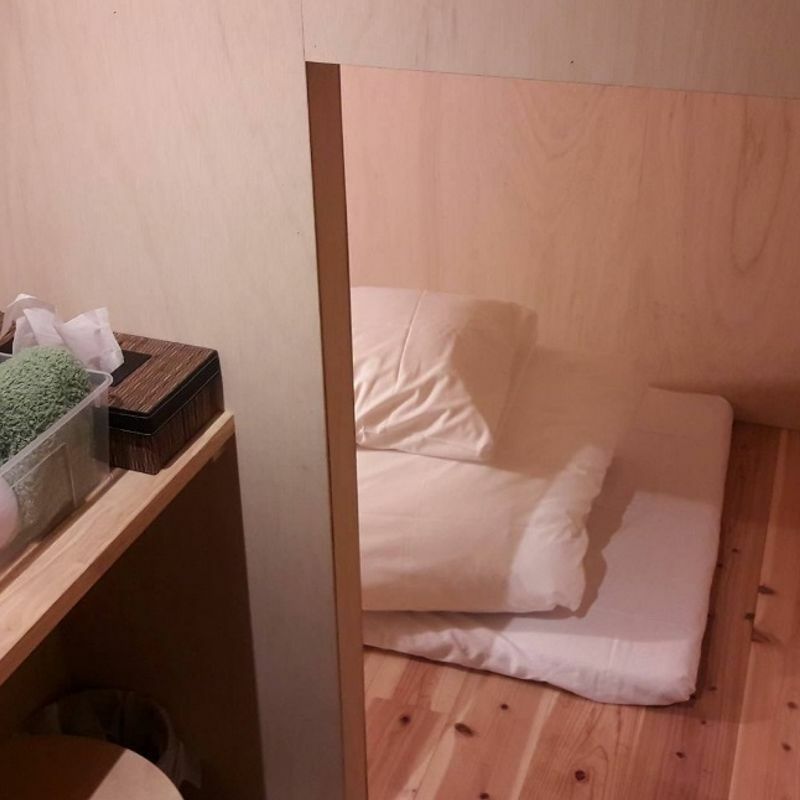 If you are ok with small places, you also can stay on a budget at one of the capsule hotels which are located around the bigger stations nowadays. For around 2,000 yen to 5,000 yen you get a small capsule where you can sleep in. You can close these with a curtain or a small door, but for sure privacy is missing there like in dorm rooms. Take care while booking, because most capsule hotels are separated between men and women. Ryokan are the Japanese style hotels including tatami mat rooms and sleeping on a futon. 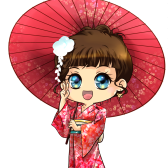 You can spend our time there very yukata and sometimes they even have an onsen you can dip in and relax. In very traditional ryokan you get a fabulous dinner and breakfast served inside your room. For sure, this has its price: for a stay in a ryokan start planning from 15,000 yen for a night with an open end. 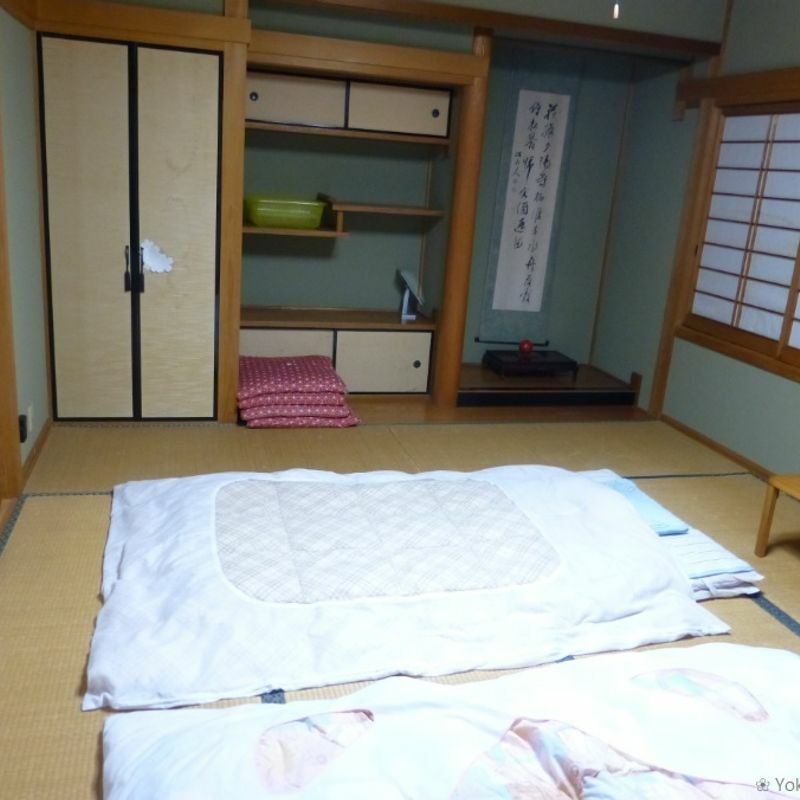 Minshuku are the cheaper versions of a ryokan and are often family operated. You can get the same traditional experience with tatami rooms and futon but in a more easy way. 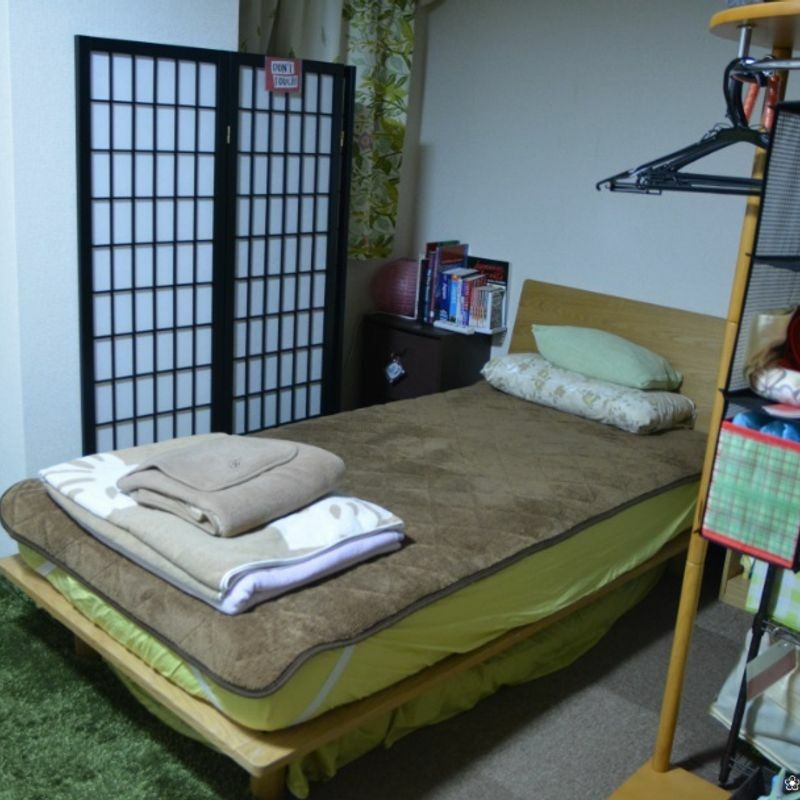 These accommodations you can get between 5,000 yen and 10,000 yen. In recent times AirBnb becomes more and more popular with foreign tourists. Probably you know the concept that private persons rent rooms in their apartments or private rooms for a suitable price. If you stay together with locals you can get a completely new experience of Japan which is really great. However, lately the offered rooms are more and more private. When I stayed at an AirBnb apartment in Nagoya I didn’t even see the Japanese host. The prices can be very different here as you can see on the official website. As the name says Love Hotels are made for couples to have their little private time. You can book them at the entrance (without seeing a staff member behind a blind window) for a view hours or the whole night. The rooms mostly look very nice and sometimes even has a special theme. It is fun to find it out, even if you just go there for sleeping and not for having a private relationship with someone. The prices differ, but are mainly around 8,000 yen to 10,000 yen for a night. For the crazy ones: Internet & Manga Cafés, McDonalds & Co.
Doesn’t want to spend your money for a hotel, because a place to sit down and sleep is enough? You can spend your night at an Internet & Manga Café. For some coins you can get a cabinet with a PC and take a nap, some cafés even have a shower room. My husband was already thinking of staying at one of these when we missed out last train on New Year’s Eve, but we found another solution. Another option to get a few hours of sleep is to stay at one of the 24-hours chain restaurants such as McDonalds. For sure this is not the nicest way and it can happen that you are kicked out after a while, but if you really can’t find a hotel, just buy some food, get a book out and fall asleep above it. That is my small list of accommodations in Japan. For sure, there are also other possibilities like spending your night in the highway bus and combine sleeping and traveling. What is the best place you stayed at so far?